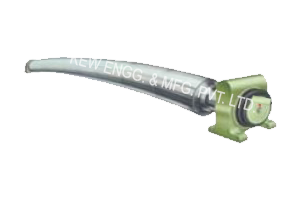 Banana Roller for removing wrinkle with high quality material for different types of industries. We are a leading manufacturer, exporter and supplier of Banana Roller from last 25 years. Our Banana Roller is ideal for separation of slit webs, or the elimination of web wrinkles. Banana Rollers are widely used to removing wrinkle in various industries. We make Expander Rollers having very wide range of dimensions and suitable for equally wide range of applications and web materials. They are supplied with mounting brackets, which could be either wall mounting or foot mounting. Select image of the Cup .